Billie set a then-unprecedented record by winning the title of World Champion GRA Barrel Racer for four consecutive years beginning in 1955. 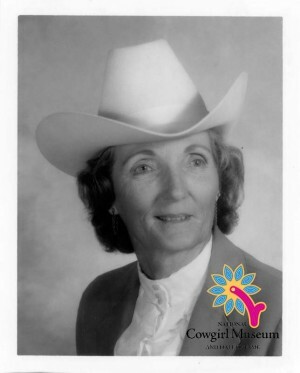 She and her sister began barrel racing after seeing a race in the 1930s. The two competed together riding the same mare, usually claiming first and second place in the Texas rodeos. A GRA charter member, Billie served over thirteen years in different administrative roles, including Barrel Racing Director.